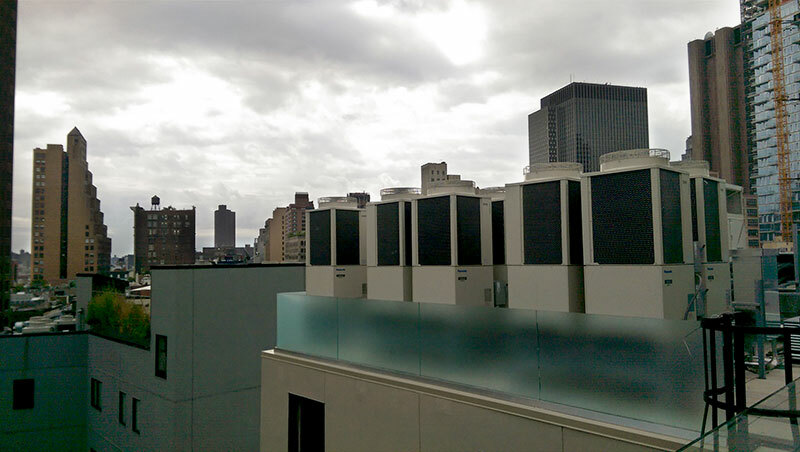 Panasonic variable refrigerant flow systems have become one of the most popular methods of efficiently heating & cooling a variety of types of buildings. Panasonic/Sanyo was the pioneer of the 3-pipe VRF system and continues to be a leader in efficiency, flexibility, product offerings & ease of installation. 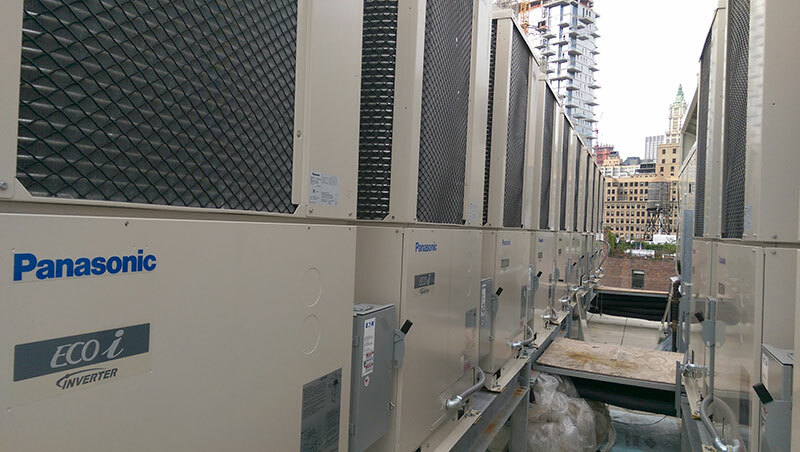 All Panasonic VRF systems utilize a highly advanced inverter controlled variable capacity compressor. Our compressor can handle loads from 10% – 150% of connectible capacity and even includes an oil separation device that keeps the oil inside the compressor instead of out in the system. This intelligent approach helps realize excellent efficiencies during part load conditions while allowing occupants to enjoy consistent room temperatures at all times. In conjunction with ECONAVI, the system can detect the presence or absence of people and their level of activity in real time. The system will the adjust the set-point automatically to further reduce energy consumption. Engineering & design assistance from one of our professional engineers at no extra charge. On site or in office training for the installing contractor at no extra charge. A dedicated project manager that will make several site visits during installation. 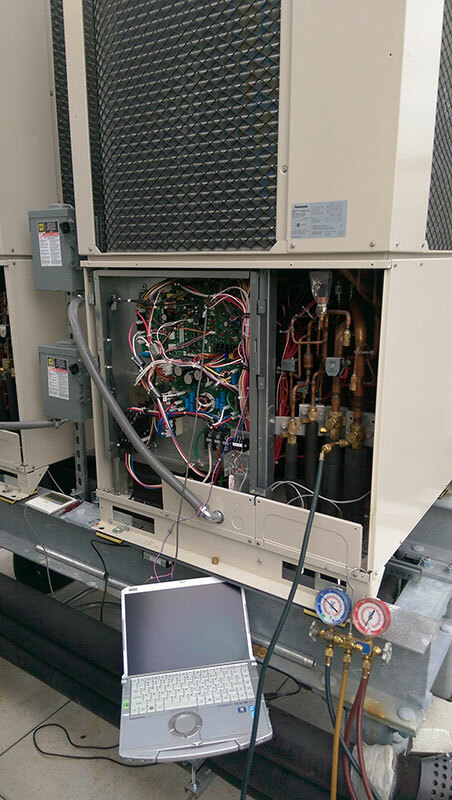 Factory authorized startup of every VRF system including testing and closeout documents. Training for the owner or end user to ensure they know how to properly run & maintain the system. 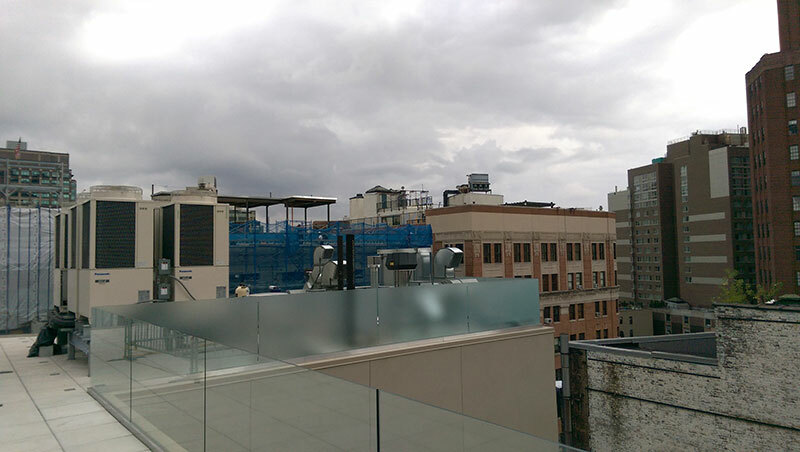 Let our experience help guide you to highly efficient building & low maintenance building.